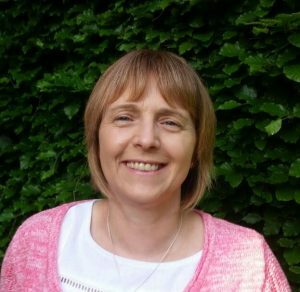 Karen is a qualified Clinical Hypnotherapist, Life Coach and Mindfulness Teacher. “I wanted to learn ways to help people overcome issues which affect their life and can stop them from living life to the full. I found myself drawn to Hypnotherapy, this is a client centred talking therapy utilising hypnosis to go into an altered state of consciousness to gain access to the subconscious part of the mind. Hypnotherapy can help with a wide range of issues, including Phobias, Unwanted habits, Limiting Beliefs, Stress and Anxiety. I have a Level 5 Diploma in Performance Coaching with NLP. Coaching can help you to make, meet and exceed personal and professional goals. These can be in the workplace, becoming happier and more fulfilled at home, exploring your potential and achieving your ambitions. My training and knowledge has given me an expansive toolbox to give you the greatest possible chance of succeeding to make the positive changes you want in your life. Karen now also offers Hypnobirthing courses in the local area for expectant mothers (and partners if they wish). Hypnobirthing is a natural method of deep relaxation and pain management that can be used during labour and birth and involves visualisations, breathing techniques, relaxation techniques and self hypnosis. In some cases hypnobirthing has been shown to make labour shorter and helps to make expectant mothers feel more in control and prepared when labour starts and can also help to deal with anxieties you may have from a previous traumatic birth experience. For more information on Karens hypnobirthing courses please get in touch. I recently contacted Karen as I had a debilitating phobia of Spiders which was taking over my entire life. I had tried everything to help with my phobia but nothing was working. I looked into hypnotherapy as it was pretty much the only option that I hadn’t tried. Although I was very sceptical at first, I was at the point in my life where I was willing to try anything. After only 3 sessions with Karen I have noticed a huge difference in the way I deal with spiders and my phobia! Instead of crying and freezing on the spot for hours on end, I am now able to deal with a spider in a much calmer fashion. I can’t explain how it works as everyone is different but one thing is for certain, I can’t thank Karen enough for helping me, she has truly changed my life! The sessions with Karen were for a specific fear which had started to hinder my life somewhat. Karen was able to help me in just a few sessions. Her approach is very gentle and effective. With Karen’s help, I have overcome my fear which has given me a new lease of life. I saw Karen a few weeks ago now after deciding that a lifetime of drinking and smoking too much had to be addressed. We tackled the drinking first. A half hour chat and two hour sessions later and I’ve not touched a drop of the hard stuff for almost 3 weeks. Anyone who knows me will agree that it’s a minor miracle!!!! I feel so much better in myself and I’m loving the sober feeling. Seriously, I know it sounds corny but if I can stop drinking and smoking anything is possible. Thanks Karen for the help and support and I would recommend your services to anyone who needs some assistance with their issues.